Following a long and committed search for sponsorship for the Rás Tailteann, the organisers have today taken the difficult decision not to run an eight-day world-ranked race in 2019. The event is a 2.2 event on the UCI international calendar, earning world-ranked points for those who excel on stages and in the overall classification. It has been part of that calendar since the 2000 edition and while this has added greatly to the prestige of the event, the extra requirements under UCI rules have greatly ramped up the budget. 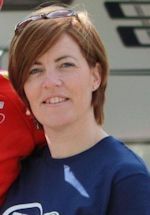 “We have exhausted all opportunities in relation to sponsorship for a UCI race this year,” states race director Eimear Dignam. “I am extremely disappointed. I have been involved in the race my whole life. But I am satisfied that I explored every opportunity to us to secure a sponsorship. We never envisaged that it would come to an end like this, but hopefully it won’t be an end. 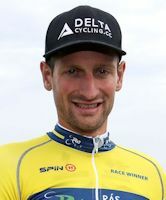 On what was a highly dramatic final lap of racing in Skerries, Robbe Ghys (Belgian National Team) won the last stage in the Rás Tailteann, while Luuc Bugter (Netherlands Delta Cycling X) snatched the yellow jersey from longtime leader Cyrille Thiery (Switzerland National Team). Ghys and Bugter made their move on the second and final lap of a 13.7 kilometre finishing circuit, bridging across to Bugter’s teammate Sjoerd Bax and then driving hard all the way to the line. Thiery chased and at one point looked like he would defend yellow, but finally ended up finishing 12 seconds behind Ghys, 11 behind Bugter and, crucially, one second back from Bugter overall. “I was in the top five every day. I won a stage, I am in the best form of my life. It went really well,” said Bugter. “I knew there was a chance that I could take the win on the last day, I had to take some seconds on the leader as there are no bonuses at the finish. 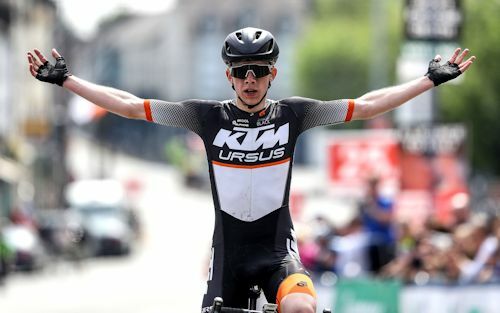 Climbing superbly on a tough day through the Wicklow Mountains and then resisting the chase behind on the mainly flat roads towards the finish, Julian Varley (Britain Team KTM) took the biggest success of his career on Saturday in Naas. 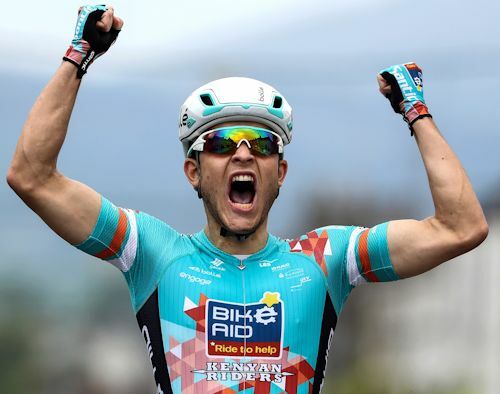 The 21-year-old Briton reached the line 18 seconds clear of a 16 man group led in by Robbe Ghys (Belgian National Team), Jacob Rathe (USA Jelly Belly P/B Maxxis), Jason van Dalen (Netherlands Delta Cycling X) and Luuc Bugter (Netherlands Delta Cycling X). Lindsay Watson (Antrim Velo Cafe Magasin PowerHouse Sport) was best of the home riders in sixth, taking the prize for the best county rider on the stage, while Mark Dowling (Cycling Leinster) also finished in the group and deposed best overall county rider Ronan McLaughlin (Westmeath Viner – Caremark – Pactimo) of his blue jersey. Sean McKenna landed his best-ever result in the Rás Tailteann on Friday when he won stage six into Carlow town. The Ireland Holdsworth Pro Racing Team rider sprinted in ahead of Claudio Imhof (Switzerland National Team), Netherlands Delta Cycling X duo Luuc Bugter and Rens Tulner, Ireland national team rider Marc Potts and Matteo Cigala (Westmeath Viner-Caremark - Pactimo). The split gave McKenna and those ahead of him a slight advantage over the others, and he made the most of it, blasting through to grab the win. 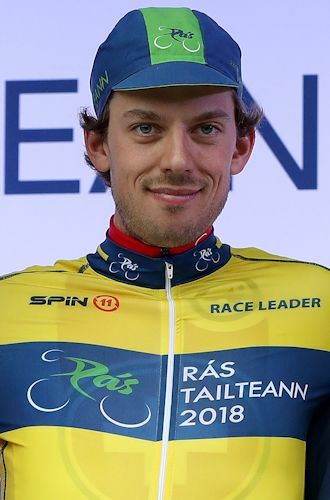 Having been race leader on the road on stage 3 but then being caught before the finish, Jason van Dalen (Netherlands Delta Cycling X) likely ended Tuesday frustrated with the missed chance for Rás Tailteann glory. However he secured a key place in the prizes on Wednesday when he won stage four into Glengarrif. The Netherlands Delta Cycling X rider was quickest out of the select 26 man group which sprinted for victory, beating Italian Matteo Cigala (Westmeath Viner-Caremark - Pactimo), Robbe Ghys (Belgian National Team), Jacob Rathe (USA Jelly Belly P/B Maxxis), Luuc Bugter (Netherlands Delta Cycling X) and others to the line. Ronan McLaughlin (Westmeath Viner-Caremark - Pactimo) was best of the Irish riders in eighth, taking over as best county rider. 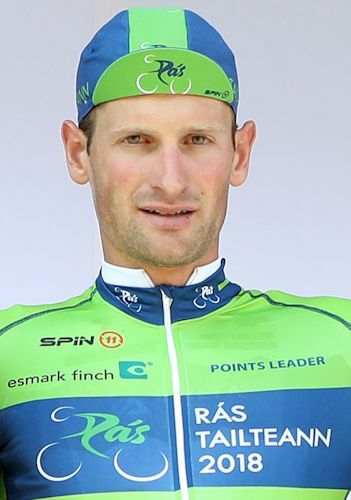 Second on stages one and two, things came right for Luuc Bugter on day three of the Rás Tailteann, with the Dutchman winning a big bunch sprint into Listowel. The Netherlands Delta Cycling X rider beat Lucas Carstensen (Germany Bike Aid) by half a wheel, with Lindsay De Vylder (Belgian National Team) third and stage two winner Robert-Jon McCarthy (Ireland National Team) fourth. 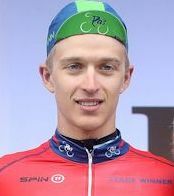 Belgian National Team rider Robbe Ghys (Belgian National Team) and Louis Rose-Davies (Britain Canyon Eisberg) completed the top six. 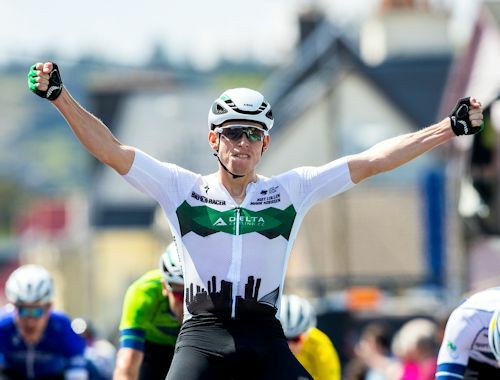 Robert Jon McCarthy picked up the second Rás Tailteann stage win of his career in Tipperary on Monday, following up on his stage one victory in 2014. The Ireland National Team rider beat Luuc Bugter (Netherlands Delta Cycling X), Lindsay De Vylder (Belgian National Team), Simon Ryan (Cork STRATA 3 - VeloRevolution Cycling Team), Thery Schir (Switzerland National Team) and 73 others in a big sprint to the line. In addition to Ryan’s impressive fourth place, a second Irish county rider Paídi O’Brien (Dublin Team Gerard DHL) also finished in the top ten, netting eighth. Featuring the Irish national team, 11 international squads and 19 Irish county teams, the 2018 Rás Tailteann begins a 1200 kilometre battle in Drogheda on Sunday. 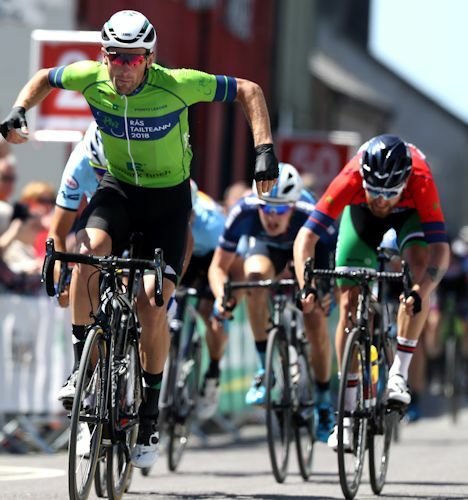 The world-ranked event is the most prestigious race in Irish cycling and will feature ferocious competition between the international and domestic riders, as well as some of the most unpredictable racing on the world calendar. Team KTM, Germany Bike Aid, Netherlands Delta Cycling X, Switzerland National Team, USA CCB Foundation – Sicleri, USA Jelly Belly p/b Maxxis and the Wales Racing Academy. These include past Rás stage winner and former world and European track champions, as well as some highly talented young competitors which may well be part of the top pro scene in the future. 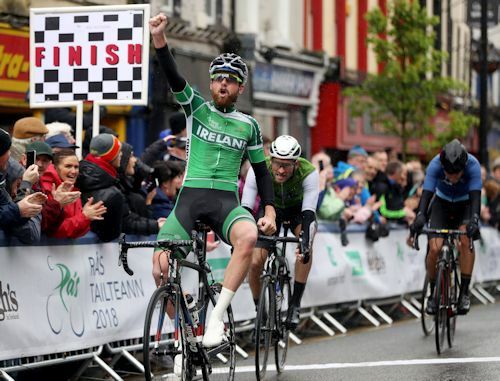 The Irish national team will feature 2014 Rás stage winner Robert-Jon McCarthy, as well as the gifted track and road rider Marc Potts plus the talented young competitors Darnell Moore, James Curry and Jake Gray. 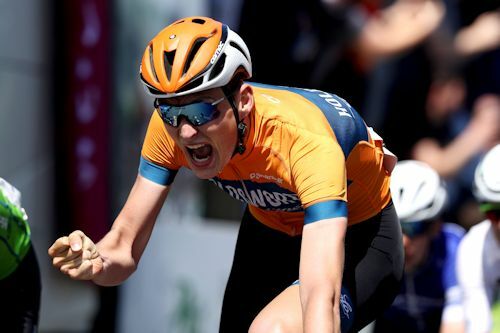 Home hopes will also rest on the shoulders of former national champion Damien Shaw, Sean McKenna and Conn McDunphy, who are all part of the Ireland Holdsworth Pro Racing team.